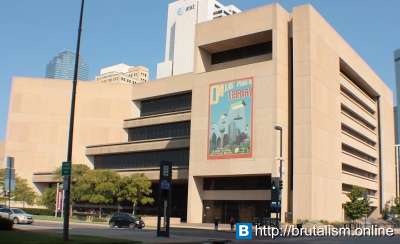 The structure was built to replace the Old Dallas Central Library. 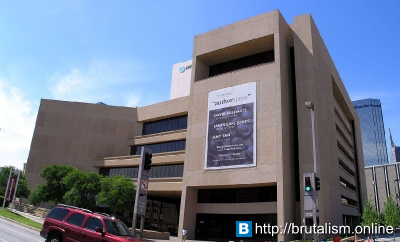 The new structure consists of ten stories, eight stories above ground and two below. 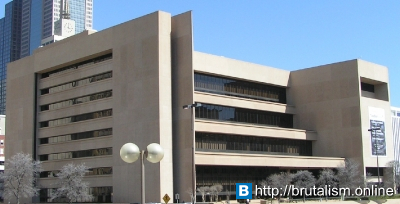 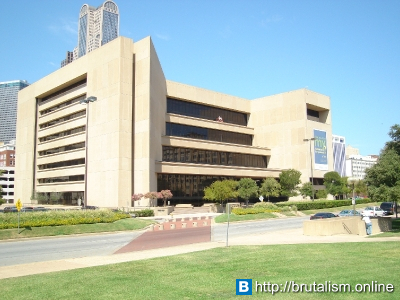 The design of the nearby Dallas City Hall inspired the design of the library – its upper floors are oriented away from Young Street while (symmetrically) the upper floors of City Hall are oriented toward Marilla Street (an open area between Young and Marilla Streets separates the buildings).